Ivy is in her 80s and comes to Millman Street Community Centre every day for lunch, and to spend time with her friends. 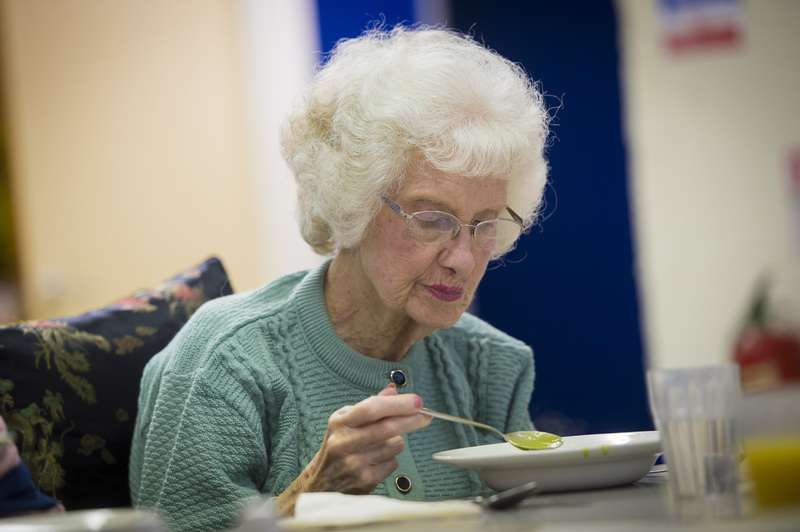 Social isolation affects many older people, and, coupled with malnourishment, which is also common, can dramatically increase the risk of physical and mental decline. 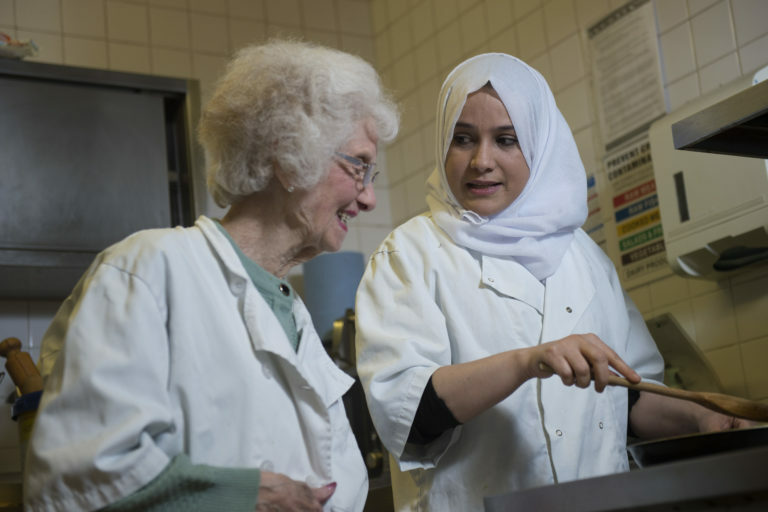 The Community Centre relies on its weekly delivery of FareShare food to create healthy nutritious meals for the older people who visit the centre every day. “I first came here when my husband died. I was married to him for 22 years and he was brilliant. I’ve got no family, there were 28 of us but they’re all gone. Now I’ve been coming to the community centre for 12 years. I spend time with friends and neighbours, we all enjoy it so. I come every day – 9am till 3pm. It’s something to do. The people down here are so lovely, and the staff are brilliant. So are all the volunteers. We all talk about what we’ve been up to. It’s nice to have something to do, it’s like therapy really. We get lots of different types of meals here. We have curry, lamb, beef and chicken quite a lot and things like meatballs. The variation is really good. 8.4 million people across the UK are struggling to put food on the table. We think that is unacceptable, especially when so much good food is going to waste. We need your help to fight hunger and food waste today. 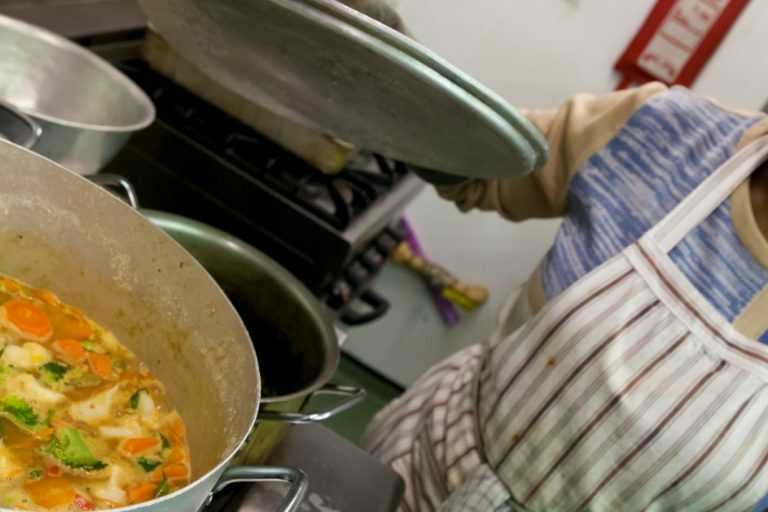 £1 is enough to help deliver food for 4 meals. It’s the generosity and commitment of supporters like you that helps bring FareShare’s mission to life. Set up a regular or one-off donation, or send a text message to make a gift to make a difference to people’s lives today: text FARE18 and the amount you would like to donate to 70070 (e.g. FARE18 £10). 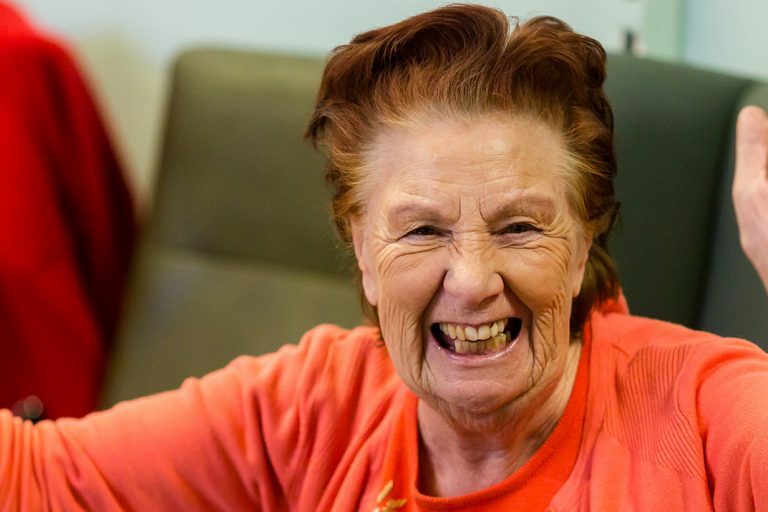 It will help us deliver more food to frontline charities and community groups like Millman Street Community Centre who provide food, services, and companionship to people like Ivy. Millman Street Community Centre in Holborn, London is a lunch and social club for older people. 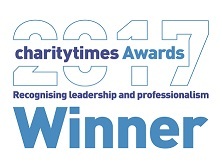 Each day, around 20 service users relax in a friendly environment and take part in a range of activities for all abilities and interests.